Dinler Antunes’ research often gets confused with the work of a scientist in a wet lab. He is quick to explain the distinction. “I work with bioinformatics applied to cancer research,” said the postdoctoral research associate who works at the Laboratory of Professor Lydia Kavraki, the Noah Harding Professor of Computer Science and of Bioengineering at Rice University. Antunes’ contribution to the field of immunotherapy is his development of new docking-based methods that can be used to improve peptide-target selection in personalized cancer immunotherapy. Docking is a computational methodology pioneered in the early 80s. There are two aims to docking studies: binding affinity prediction and accurate structural modeling. Antunes’ work focuses on the latter, in the context of cellular immunity. “I was primarily focused on one specific receptor that’s very important for this type of immune response. It’s called the human leukocyte antigen (HLA),” Antunes said. The HLA system is a gene complex encoding the major histocompatibility complex proteins (MHCs). These cell-surface proteins are responsible for the regulation of the immune system. His latest article, published in Nature Publishing’s online journal of Scientific Reports, is called “General Prediction of Peptide-MHC Binding Modes Using Incremental Docking: A Proof of Concept.” In it, Antunes explains that t-cell lymphocytes, a subtype of white cells, circulate throughout the body scanning cell surfaces for peptide-MHC complexes. By interacting with these complexes, they can monitor the intracellular content in almost every tissue. “In a way, you are arming the cops. You are making them more aggressive and more efficient in killing their target. As you increase the aggressiveness, you also increase the chance of an error. Sometimes T-cells will profile a cell as being cancerous when it isn’t. That’s when you may have a side effect of the treatment that can be lethal. This process is called T-cell cross reactivity,” he said. Antunes wants to better understand cross reactivity and the role of T-cells in immunotherapy. “This is becoming a very important issue for immunotherapy because different approaches are using these cells, and they are prone to mistakes. I really want to help better understand and prevent these types of side reactions to immunotherapy,” he said. 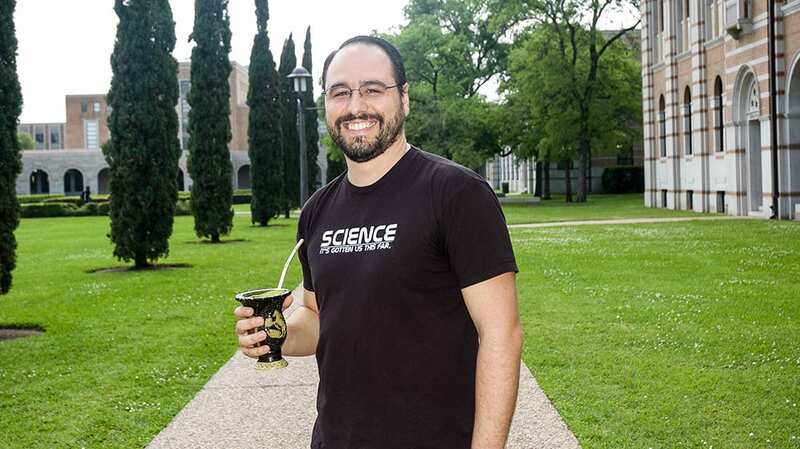 Dinler Antunes developed a passion for bioinformatics and Chimarrao, a traditional yerba mate drink, while studying in his native southern Brazil. Antunes earned his B.S. in biomedicine and his M.S. in genetics and molecular biology from the Federal University of Rio Grande do Sul in southern Brazil. 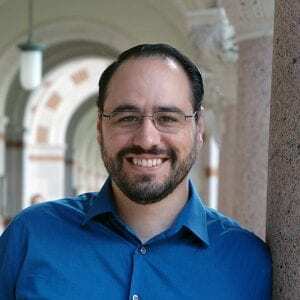 While working for his Ph.D., he applied bioinformatics tools to identify molecular features responsible for complex immunological phenomena, such as heterologous immunity. Heterologous immunity refers to the phenomenon of T-cells generated during an earlier infection are reactivated in response to a second, unrelated infection. Antunes’ work is part of a collaborative project between the Kavraki Laboratory at Rice University and the M.D. Anderson Cancer Center. “Dinler’s cutting edge research develops computational structured-based methods that enrich current approaches to cancer immunotherapy,” Kavraki said. 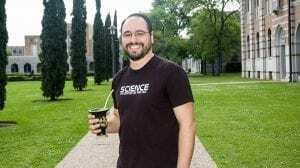 In his spare time he writes for the Brazilian Society of Immunology Blog and coordinates an association of Brazilian researchers in Houston (PUB Houston). Antunes hopes to continue creating computing tools to aid the field of immunology. “I’m making the connection between the computational side and the immunology side. The overall goal is to use computational tools to help immunologists select the best targets to develop immunotherapy treatments,” he said. Photo: Dinler Antunes holding a cup of Chimarrao, a traditional yerba mate drink from southern Brazil.